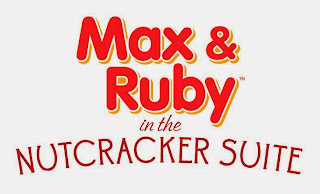 If you are a regular blog reader, you'll remember that I wrote about Max & Ruby in Indianapolis last year around this time - well, they're coming back! Read on to hear more about it and to enter my giveaway! Max & Ruby bring to life a wonderful tradition this holiday season as they take to the stage their most magical performance yet! Inspired by one of the greatest musical scores ever composed - Tchaikovsky’s Nutcracker Suite - the beloved bunny siblings star in Koba Entertainment’s brand new musical production Max & Ruby in the Nutcracker Suite. 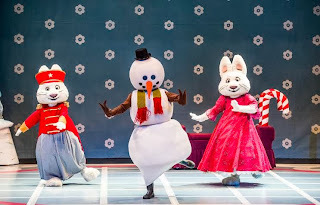 You can see Max & Ruby in the Nutcracker Suite on Sunday, December 8, 2012 at 12:00 PM or 3:30 PM at the Murat Theatre @ Old National Centre in Indianapolis. Tickets range from $25.00 to $50.00 and are available at www.oldnationalcentre.com.